Dr. Balbir Singh is one of the best Cardiologists in Sector-38, Gurgaon. He has been a practicing Cardiologist for 35 years. He studied and completed D.M. (Cardiology) from GB Pant Hospital in 1991, M.B.B.S. from Maulana Azad Medical College, New Delhi in 1983 and M.D. (General Medicine) from Maulana Azad Medical College in 1987. He Has been honoured by Medical Excellence Award (International Study Circle) , in recognition of the work in the Interventional Cardiology, B D Kumar Oration (Indian Medical Association) for achievements in field of Interventional Cardiology, received Recognition in the Limca Book of Records for Editorial Services in Indian, Electrophysiology Journal Awarded with the highest civilian award ?PADMASHREE? Invited for V.V.Shah Oration in Cardiological Society of India, B D Kumar Oration (Indian Medical Association) in March 1996 for achievements in field of Interventional Cardiology, Recognition Award for achievements in the field of Intervention Cardiology (Bard Inc.) and Sujoy B Roy Best young investigator award (Cardiology Society of India) in August 1995 for Research Work in Interventional Cardiology. He has a professional membership of Cardiological Society of India (CSI). He provides most of his services like: Angiography Procedure, Treatment of Hip Disorders, Heart Pacemaker, Stent Surgery, Bypass Surgery, Mitral Valve Replacement Surgery, Cerebral Palsy Treatment, Vascular Surgery Treatment, Cardiac Ablation Procedure and Coronary Bypass Surgery. 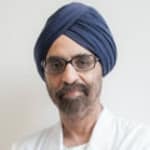 He is currently associated with Medanta The Medicity Gurugram Medanta The Medicity Sector - 38, Golf City, Gurugram and Medanta Mediclinic Defence Colony New Delhi Medanta Mediclinic Defence Colony E-18 Defence Colony, New Delhi. You can meet him personally or book an appointment online with Dr. Balbir Singh on Lybrate.com. Lybrate.com has a number of highly qualified Cardiologists in India. You will find Cardiologists with more than 35 years of experience on Lybrate.com. You can find Cardiologists online in Gurgaon and from across India. View the profile of medical specialists and their reviews from other patients to make an informed decision. Dr. Balbir Singh is one of the best Cardiologists in Sector-38, Gurgaon. He has been a practicing Cardiologist for 36 years. He studied and completed D.M. (Cardiology), M.B.B.S., M.D. (General Medicine) . He is currently associated with Medanta-The Medicity in Sector-38, Gurgaon. Book an appointment online with Dr. Balbir Singh on Lybrate.com. Lybrate.com has a number of highly qualified Cardiologists in India. You will find Cardiologists with more than 38 years of experience on Lybrate.com. You can find Cardiologists online in Gurgaon and from across India. View the profile of medical specialists and their reviews from other patients to make an informed decision. Recognition Award for achievements in the field of Intervention Cardiology (Bard Inc.). B D Kumar Oration (Indian Medical Association) for achievements in field of Interventional Cardiology. Medical Excellence Award (International Study Circle) , in recognition of the work in the Interventional Cardiology. Awarded with the highest civilian award ?PADMASHREE? Invited for V.V.Shah Oration in Cardiological Society of India. I had high BP for the First time. It measured above 150/110. Doctor gave me medicine for 10 days. I monitored the BP on daily basis. It was high for 3 days and then gradually came down. For past 3 weeks it is below 130/90. I have not continued with the medicine after 10 days. I have increased my daily walks and exercise to 1 hour. Should I continue with medicine as some people say that BP medicine should never be stopped? Yes, you can try without medicines. Continue regular BP check and exercise and take balanced diet. Too much restrictions in food are unhealthy. I am 50 yrs old and I am suffering from high bp . I have 176/100 bp it only happens when my I have headache. Welcome to lybrate, please get your tsh, renal functions & lipid profile checked. Reduce salt intake, avoid sweets. Go for walk both times daily. Take light antihypertensive under supervision of your physician. 2 months into alcohol withdrawal but still my bp is high without any secondary causes. Please suggest. Dear user kindly provide your bp measurements and symptomatic details along for proper guidance and related medical support . My mom is having severe chest pain on & off. Diabetic & hypertension with CKD. CAG done, one artery 80% blocked. Cannot go for angioplasty due to high create above 4. Can take angispan 6.5 TR trice a day? Better to manage with short acting nitrates as needed. Long acting, thrice daily may DECREASE medicine effect. I am under medication for diabetic and bp. Off late I am suffering from mouth dryness especially during sleep in night. Please suggest treatment for the same. How Can We Keep Our Heart Healthy? The heart is one part of your body that pumps blood relentlessly; to be grateful to the most important organ, it’s your duty to look after its health. Cardiovascular diseases and heart ailments can be prevented by making minor changes in your lifestyle. Add fiber to your diet: Making fiber a part of your regular diet is a great idea as the heart works best when it runs on natural fuel. You can achieve this by adding more raw fruits and vegetables in your meals as they are an excellent source of fiber and nutrients. Engage in physical activity: Your heart is a muscle and to make it healthier, you need some form of physical exercise. Engaging in cardiovascular forms of exercise for an hour daily keeps your heart in good condition. Engaging in physical activity also reduces the risk of getting a heart disease and acts as a stress buster. Cut down on the salt intake: The sodium content in salt disrupts the balance of fluids in your body leading to high blood pressure. This can affect the functioning of the heart; that is to pump blood, which is a major cause of a heart attack. So, cutting down on salt can reduce stress and the risks of heart attacks. Manage your weight: People on the overweight side run a risk of getting heart diseases more often than fit and leaner ones as they tend to be more inactive and sluggish. The heart diseases caused due to obesity can be avoided by making minor changes to your diet and exercising on a daily basis. Quit smoking: If you are a regular smoker, quitting is the best thing you can do for your heart. The main reason for coronary heart diseases is nicotine present in the cigarette. Once, you quit smoking completely, you will be 50% less likely to run the risks of a heart attack as compared to a regular smoker. Hello Doctor. Thoda SA chalna PR Meri saans fulne lgti h. Mera cholestrol report is Prakar h.Serum colestrol-300 mg/'LDL colestrol-204 mg. Rest are normal. Thyroid test me T4-is-14.3 h. Kya mjhe treatment ki zrurat h. Please suggest me what to do. Which medicine is needed. Mai 100 mg ki thyronorm leti hu. Mera TSH-1.76 h. Kya Mai medicine ki Sahi doze le rhi hu. please tell me. Thank you. lybrate-user, Thanks for the query. Since you have hypothyroidism, there is possibility of feeling tired and fatigued on slight exertion. TSH 1.76 mU/L, shows that hypothyroidism is good control. Same dosage of Thyroxine should be continued. Please tell me what is your height and weight? Your lipids (cholesterol and LDL both) are high. You need to take a statin to reduce these levels. Also there is need to look at your dietary intake. Plus please tell me whether you have diabetes? Also check your Hemoglobin to see if it is too low. Thanks. My heart beat rate is 94 per min should I consult a doctor immediately or I should do physical exercise regularly. Please help me on this. It's safer to consult doctor and explore cause of your tachycardia I.e. fast beats. For tachycardia, yogasans help better than gym exercises. Practise shavasan and pranayam. Moderate exercise is also good. Hypertension is a condition where the blood has to exert extra pressure to flow through the blood vessels. While there is a genetic component to it, the more strong contributing factors are modified lifestyle and dietary changes. There are also a lot of environmental changes that have contributed to this new epidemic. While earlier people in their 50s and 60s would be diagnosed with hypertension, now there are people in 30s and 40s taking hypertension pills. Excess fat accumulation is the major cause of hypertension in younger patients. There begins the complexity of the issue. Hypertension which requires medications to control it, they lead to side effects and bring in a host of other diseases like diabetes, and obesity which in turn bring in a whole lot of complications. A more easy way to manage would be to prevent and of course, after onset, look at how naturally it can be managed. Ayurveda has numerous substances that have been proven to have beneficial effects in controlling blood pressure over the past 1000s of years. Celery or ajwain helps blood vessels to dilate and reduces concentration of stress hormones in the blood. Ashwagandha has a wide range of actions and improves the body's ability to handle physical and mental stress. This in turn improves blood pressure, obesity, and depression. Citrus fruits contain Vitamin C which prevents fragility of the capillaries (thinner blood vessels). Cow's urine prevents hardening of blood vessels and is of curative value in those who have blood pressure due to hardening of blood vessels. Triphala which is a combination of amla, haritaki, and bibhitaki helps reduce inflammation that leads to blood pressure, thereby helping to control it. Jatamansi - By helping the free radical damage on the arteries, it protects the arteries and prevents cholesterol accumulation. It also is a very well-proven stress reliever and has additional benefits on hypertension. Arjuna - By helping the metabolism of the bad cholesterol in the liver, this protects the inner lining of the heart and thereby helps control hypertension. Calcium and potassium containing substances help remove sodium and thereby improve blood pressure. Natural herbs like Brahmi, Sarpagandha, Shankhpushpi, and Chandana are effective Ayurvedic cure and treatment for hypertension. Rasayana treatment from ayurveda is having excellent results, however everyone requires unique rasayan as per their body types. Watermelon helps in dilation of the blood vessels. Aloe gel, barberry, calamus, valerian, skullcap, gotu kola cayenne, myrrh, motherwort, hawthorn and jatamansi have all been shown to help manage hypertension over thousands of years. A glass of warm milk mixed with saraswat powder is also helpful for patients with high blood pressure. These are natural remedies which were a part of diet since times immemorial. Including them in the diet, reducing processed foods, regular exercise, avoiding alcohol and smoking can be some natural ways to prevent and if required control hypertension. Stress is here to stay, but can definitely be managed with a little conscious effort. I used to suffer from hyper tension .kindly suggest me proper advice to get rid of this and also feeling laziness, exhausted legs. Do I need to check up my blood, thyro. 1.no alcohol 3. No smoking/ tobacco 4. Diet - no ghee/ butter, have mix of vegetable oils - mustard, til, ground nut, olive oil, have more green vegetables and fruits, have whole grain atta, no fried. Fast. Spicy / processed/ junk food. No sugar, potato, rice 5. 30 mts brisk walk daily 6. Deep breathing exercise for 10 mts daily 7 ,6-8 hrs of sleep at night 8. Expose your body to sun for 15-20 mts daily after some oil massage to get vit d. 9. Take more water- proper hydration. For medicine contact on private chat.